Born April 1st, 1944 to Troy and Frannie Jackson, raised by Joe Frank and Sallie “Big Mama” Wilson. Sally Ann attended the Chatham County public schools and is a graduate of the 1962 Class of A.E. Beach High School. She furthered her education at Savannah State College and Georgia School of Real Estate. Being a colossal advocate of the Civil Right Movement, Sally Ann was the fifth of twenty African American women to be chosen to work at Bell South. She then became employed by the United State Postal Service for thirteen years. Her true passion developed, as she became an award winning Real Estate Agent for over thirty-five years. Sally Ann was a good and faithful servant in this world. 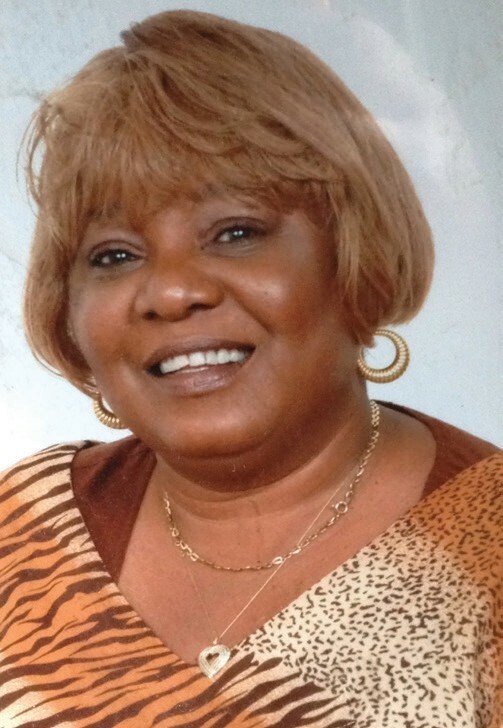 She was a devoted member of St. John Baptist Church where Rev. Mathew Southhall Brown, Sr. was Pastor. She later became a member of First Jerusalem Missionary Baptist Church where she was a member of the tribe of Rueben and known for dancing as she returned her appreciationfor the Lord’s house. She was one of the original founders of the Mandingo Social Club, Advisor of the Savannah State College Cheerleaders and Frank Callen Boys & Girls Club. Sally Ann will be inducted into the A.E. Beach High School Marching bulldogs Hall of Fame as “Thee highest stepping” head majorette. During her time attending Savannah State College, Sally Ann met her sweetheart Leroy Stanley, Sr. of Macon, GA. It was on August 22, 1963 Sally Ann and Leroy, Sr. became a union of 50 years. Sally Ann passed on November 12, 2013. Her husband Leroy Stanley, Sr. survives Sally Ann, along with her 4 children Sonya (James) Stanley Washington Smalls, Timothy L. (Leslie) Stanley, Leroy (Taurus) Stanley, Jr., and Nicole Stanley Johnson (Louis Jr. former son in law) and 7 grandchildren and 2 great grandchildren. Sally Ann is also survived by a host of family members and friends who will remember and honor her legacy.